Bipolar disorders are characterized by extreme emotional cycles; sometimes, these cycles occur very rapidly. Typically, these mood cycles are mania (intense happiness and activity) and depression (extreme sadness and hopelessness). If you have a bipolar disorder, you can feel on top of the world and full of energy one day, and down in the dumps and exhausted the next. Three of the common types of bipolar disorders are Bipolar I, Bipolar II, and Cyclothymic disorder. Bipolar I - Manic episodes will last for at least seven days/one week and include severe symptoms, like delusions/psychosis, violence, lessened need for sleep, engaging in activities with serious consequences, and more. Depressive episodes last for at least two weeks. A person's mood cycles may fluctuate when they have Bipolar I. This type of bipolar disorder affects women and men equally. Bipolar II - This is similar to bipolar I, but the mood elevations are less frequent or severe; these hypomanic episodes generally last at least four days. Individuals with Bipolar II may experience more depressive episodes than hypomanic episodes. This type of bipolar disorder affects more women than men. Cyclothymic disorder (also called cyclothymia) - You may experience multiple cycles of manic and depressive episodes over a period of at least two years, but your episodes do not meet the criteria for another type of bipolar disorder or major depressive disorder. Bipolar disorders can appear in individuals of any age or gender, but typically are first diagnosed in young adulthood. Each of the three most common types of bipolar disorder has its own unique profile of symptoms. Individuals with bipolar disorder may experience mood fluctuations. You may only have a few episodes of mood cycling a year, or your symptoms may be more intense and require more frequent monitoring. Only your doctor or therapist can determine which type of bipolar disorder you or a loved one may have, and help you begin treatment. Each type of bipolar disorder is treated differently. 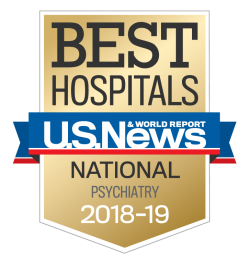 If you or a loved one are struggling with a bipolar disorder, you will benefit from a comprehensive care team to help you combat the condition. Your doctor and therapist can help you decide on the best treatment plan for you. Your treatment plan will likely include a combination of medication, therapy, and other coping mechanisms to help you deal with the impact a bipolar disorder can have on you and your family. Medication: A combination of antidepressants, mood stabilizers, anti-anxiety medications, antipsychotics, and other drugs are often used to treat bipolar disorders. Therapy: Talk therapy, couples therapy, family therapy, behavioral therapy - all of these techniques and others can be beneficial as part of your treatment plan. You may also benefit from inpatient or residential treatment. Explore your care options at Sheppard Pratt. Education: Learning more about your disorder, the things that can trigger it, and behaviors to help you better cope with bipolar disorder will help you improve your quality of life. Find out more about bipolar disorder and other mental health questions through our resource center. Support: You and your family will need support and guidance through your journey to better mental health. Find a support group that fits your schedule at Sheppard Pratt.